Do you like behind-the-scenes stories that show you how a movie or book came about? I love learning what inspired a great story. The other day I was skimming through my journal and noticed something new about how I got the idea for It’s All In My Head. On February 6th, my husband and I planned to drive to Eugene to watch Jerry Seinfeld. We were super excited, to put it mildly. Then… a giant snowstorm hit and buried Eugene in snow and ice. It was fifty degrees here, an hour and a half south of Eugene, so it was extra frustrating. The show wasn’t cancelled, either, so we emailed our tickets to someone who could use them. That night, we watched the start of the winter Olympics instead. I got hooked on watching the snowboarders and their tricks in the halfpipe, flying twenty feet up into the air to flip upside down. It’s amazing what they can do. The following Monday, I was driving on our country highway and looking the pretty green hills here when a book idea hit me. I wrote 10,000 words in a week. So if I got to see Jerry Seinfeld, I might not have watched the Olympics and gotten that idea. Funny, huh? The book flowed at an amazing rate–the idea took over my life the way Marcus took over Avery’s! This is a photo I snagged from his FB to help me write my novel. The character of Marcus is fictional, of course, with his own quirks and beliefs. 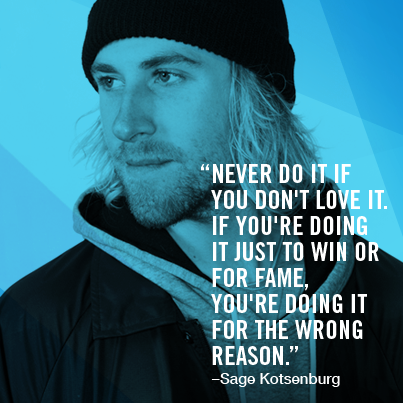 I was mostly inspired by Sage Kotsenburg’s attitude, and then his determination. I was surprised when I listened to all of the snowboarders talk–they were competing in a highly competitive, international stage, but many were funny, supporting each other, and enjoying themselves. Like, really enjoying themselves and the love of what they could do on their board. That’s what I wanted to capture in my character, Marcus. I’m not sure where the story idea really came from–it just hit me, what if some normal girl had the voice of one of those guy’s in her head all of a sudden? 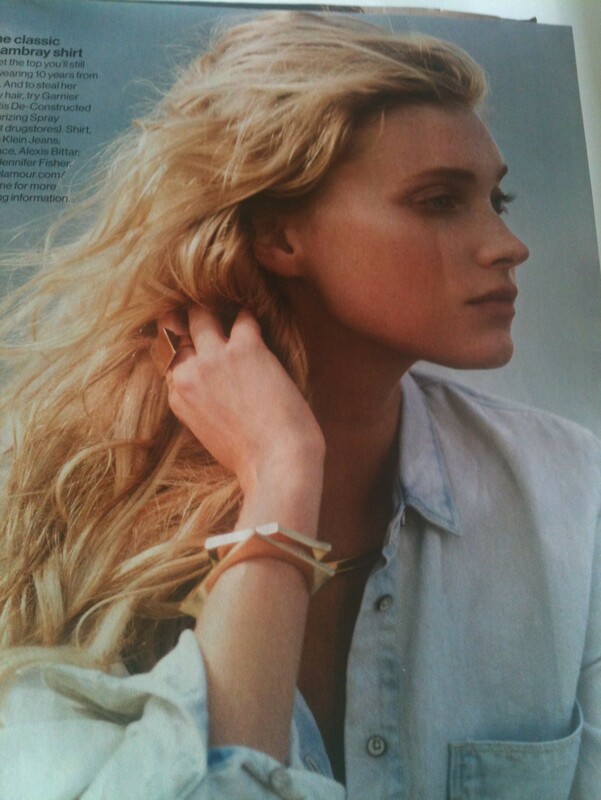 If you’re wondering about Avery, I had a picture of her in my mind and happened to come across a picture in Glamour magazine that matched what I envisioned. So I clipped this and kept it in my inspiration folder. I was after an off-beat, unique beauty. People are beautiful in their own way, and there’s so many different faces and traits. The story developed into all kinds of layers. Avery had a crush who was starting to take notice. She also had some pain in her past, ambition and plans, and a weird situation with her friends: her bestie is with her ex, and they all hang out together. I took the manuscript through a week-long workshop and found even more emotional depth and complications, so by the end of the writing process, I had my longest and most complicated book. It’s about two opposite people thrown together who learn to see the beauty in each other, all while Marcus is a voice. I called it an inside-out love story, because yes, it’s very romantic and (I hope) surprising. He’s taking over her life, but is he even real? It’s All In My Head is on special for 99 cents this month in Kindle, or you can get a gifted copy by signing up for my newsletter. Why am I running a special and giving away copies? Because November is my birthday month 🙂 and I want to share this awesome story with you.